Anne has close to 800M in sales to date! 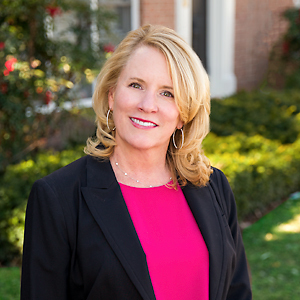 As a native Washingtonian, Anne has over 30 years of experience in the real estate profession, serving areas such as McLean, Great Falls, Arlington, Vienna, Alexandria and Northern Virginia. After graduating from the University of Maryland, Anne spent 10 years in various positions in marketing, advertising and in public relations. These experiences provided Anne with a great platform to launch her successful real estate career. Anne ultimately founded her own real estate firm, an endeavor she accredits to establishing the importance of building lasting relationships by offering dedicated service and hard work. Subsequently, Anne decided that she would prefer to be a strong contributor to a firm rather than run her own. Since that decision Anne has continued to thrive, being named twice as a Top 20 Agent in the Metropolitan area, and is regarded for her extensive knowledge and experience. Anne has a robust business based on a strong referral network of past clients and friends, with her number one client goal being to make the home buying or selling process a pleasant and rewarding experience for all clients.